The kitchen is the hub of the home. It’s usually found pretty central physical in the dimensions of your home, but more than that it’s literally the space where so much life, activity, and commotion takes place in each of our homes. Keeping the kitchen clean all the time can be a challenge, but doing so will help your whole home feel cleaner. Here are three secrets to a clean kitchen I’ve discovered after years of struggling to keep my counters clutter free. 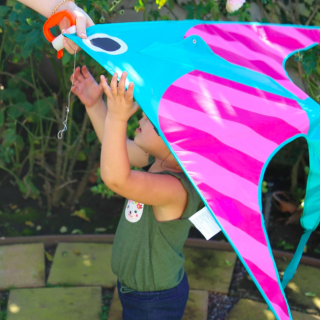 I received samples and compensation for this post. All opinions are my own. 1. Paper Clutter – Nothing clones itself quite like the paper pile. If you let even one scrap of paper sitting around, before you know it the paper will multiply and become a small stack. The next time you glance it will be a full on pile. 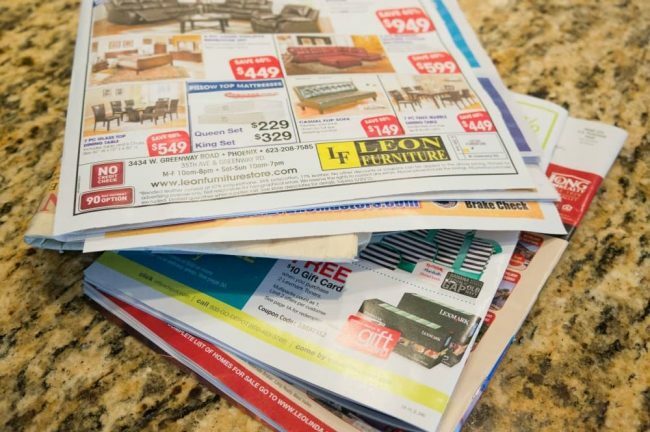 Ditch the mail you don’t need as soon as it comes in the door. File away papers you need and pay the bills as soon as possible so your papers can all go away – and stay away! 2. Empty Sink – Don’t let any dishes linger in the sink. If you toss in a pile of dishes right after meal prep or after dinner is over, don’t let them sit over night. 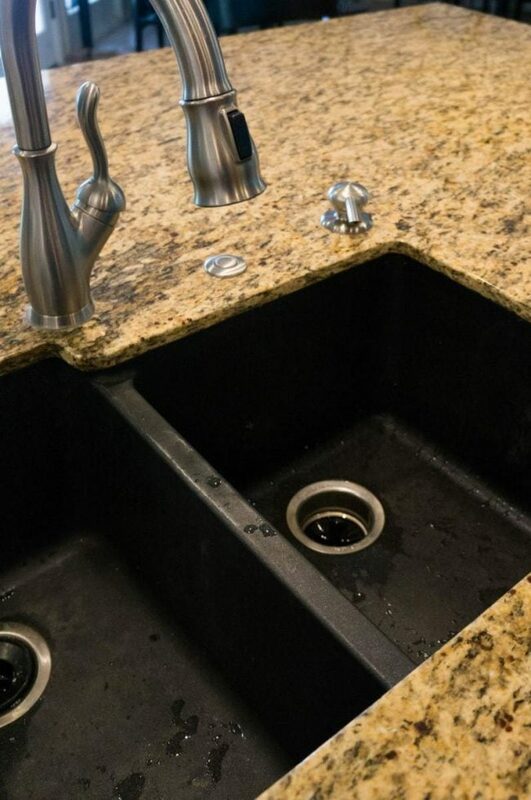 If you tackle the dishes immediately after they are used clean up effort is so much easier and keeping the sink empty keeps stress (and stink) at bay! Just do a quick rinse and toss those dishes right into the dishwasher. Right along with this is making sure your run that dishwasher regularly enough that it’s not sitting waiting for one more dish to make it “full” before you start it as that will leave you with a pile of rinsed dishes waiting for the next cycle. 3. Quick Wipe Down – This one is tricky to get into the habit of, but if you can it will be a huge time saver and make your whole home feel so much cleaner. After meals and snacks just wet a washcloth and quickly wipe down the counter. Because nothing has hardened onto your counter top, this literally should just take 30 seconds and you’re done. When you wait and food hardens onto the counter you have to put in the time scrubbing and don’t get to benefit from clean counters in the interim. I used Granite Gold Clean & Shine which both cleans and shines the granite in one quick wipe down. It brings all the power of Granite Gold Daily Cleaner and Granite Gold Polish into one easy formula to tackle two tasks in one. The cleaner also helps to resist build-up or spots from water, soap and scum and even the appearance of fingerprints! Granite Gold offers a full range of products to help you keep your home clean with ease. Their products help care for natural stone such as tile flooring and granite counters. They also have surface wipes and cleaners perfect for tackling both your counters and your stainless steel fixtures and appliances at the same time giving your whole kitchen a shine. 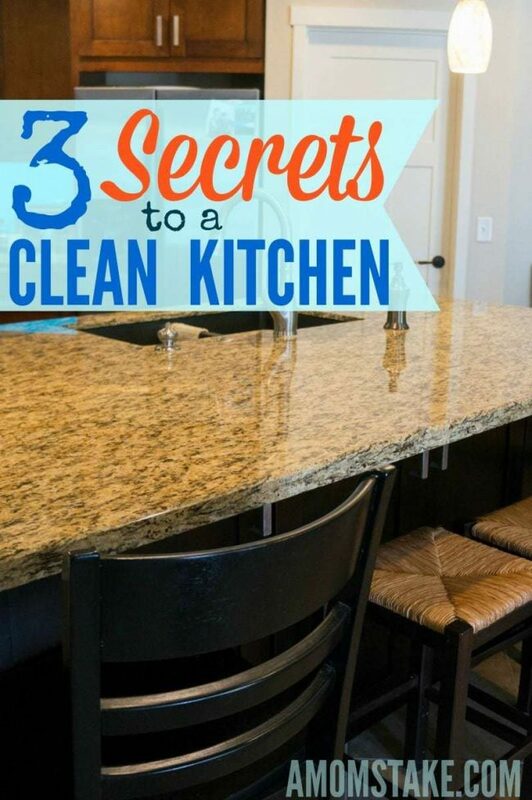 What are your secrets to a clean kitchen? Previous Post: « Girls Night + Printable Bunco Score Sheets! I would love to try the Granite Gold shower cleaner! I love the disinfecting wipes and that it is 99.9% Effective in Killing Household Bacteria. 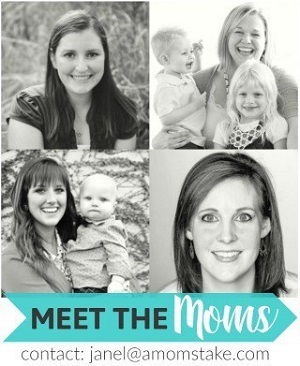 I use their products and really like them! I keep up on the dishes and wipe down the cupboards and counters real quickly every day. These products sound like they work great! 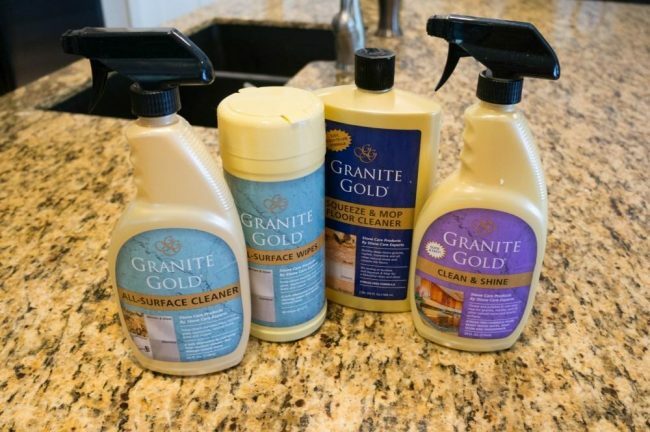 I think I would love having the Granite Gold Daily Cleaner around for daily touchups on my counters. This would be great to have on hand. I can’t believe they’ve been around since the 50’s. I am looking forward to using the Granite Gold Shower Cleaner since it is non-toxic, non-acidic and biodegradable. 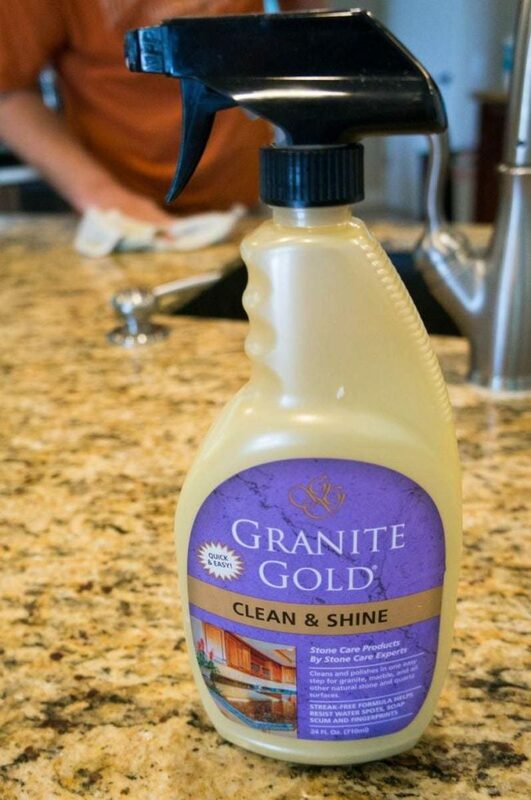 I’m a big fan of Granite Gold, it does a good job cleaning and protecting my granite counters. The Granite Gold Grout Cleaner would come in handy for me. I hate that our granite gets buildup! You can’t see it until the light hits it just right and it looks awful! Glad it worked for you, I hope to try it! I always rinse the dishes (and use a sponge scrubber to wipe them) so food doesn’t harden (as soon as we finish eating and before loading the dishwasher). I figure it’s easier on the dishwasher, and I don’t have to re-wash any dishes. 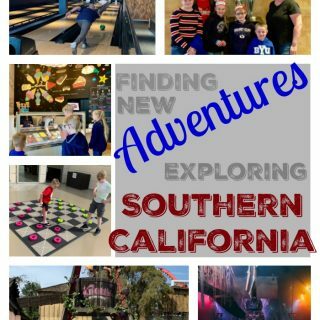 Visited and I like that you can ask the experts questins and get informative answers. I’d love to try the squeeze and mop solution. Ugh I am the worst at this! We have what we call horizontal surface syndrome, our counters collect junk! Great tips! My son could learn a thing or two about this. He lets his dishes and messes stack up until the weekends before he cleans them! 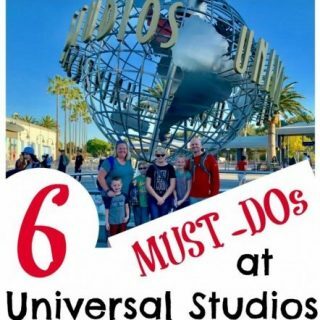 These tips are so super spot on! I would really like to try the granite wipes for quick easy counter cleanups. Paper clutter is my biggest problem. Our kitchen counters seem to be a catch all. I didn’t even know they made this, so I’d love to try it. Paper clutter is our biggest problem. It’s the reason our table is always so messy lol! I love that it is made for getting granite clean. I wish we had granite counter tops. If we ever remodel our kitchen, I am definitely going for that. We try to keep the clutter down as well as keeping the sink clear. We use Mrs. Meyer’s spray to clean and wipe down our counter tops. I’ve never heard of this brand, I will have to look out for it next time. Looks like it works great! We are bad about leaving dishes in the sink. We let them build up for a day or two before we load the dishwasher. We have new granite countertops so this looks like it would work perfectly. The company started in the 1950’s. Thank you for the wonderful giveaway. I had no idea they made a product especially for granite! This is great! I learned that Granite Gold has been around since the 1950s. I have always loved all their products and thats why i am entering . It is great that they have a product All surface cleaner that works on different types of surfaces. I left some melted butter on my granite. I would like to see if these products could clean the stain. These sound like great products, I love that they have tips on the website. I would like to try these products on my counters and appliances. they have great tips – like how to tell when your granite needs sealing. The Sealer is much less expensive than the one my granite installer sold me. I sure could use some of this! Granite Gold has been around since the 1950s. This stuff is awesome! I have Black Stone Counter Tops that show all streaks, smudges and dust. I never had any experience whatsoever with stone floors or counter tops before we bought this house. I haven’t tried their products yet, but from their website it looks like it might work better than what I am currently using. 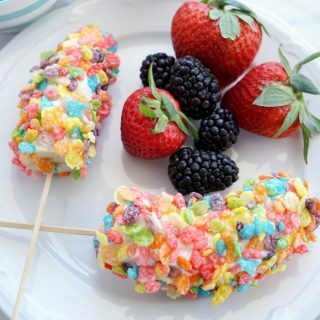 I would love to try these on our applicances.